This kit contains 1000 grams of black toner powder (1 refill) plus instructions. This kit contains 2000 grams of black toner powder (2 refills) plus instructions. This kit contains 600 grams of cyan toner powder (1 refill) plus instructions. This kit contains 1200 grams of cyan toner powder (2 refills) plus instructions. This kit contains 600 grams of magenta toner powder (1 refill) plus instructions. This kit contains 1200 grams of magenta toner powder (2 refills) plus instructions. This kit contains 600 grams of yellow toner powder (1 refill) plus instructions. This kit contains 1200 grams of yellow toner powder (2 refills) plus instructions. This bulk toner is NOT generic toner. 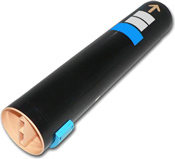 It is manufactured to match the DocuColor 2240 toner, and is guaranteed to meet or exceed your current print quality. Order up to 10 bottles - Note: You will receive bottles of toner only - no refill tools or instructions. 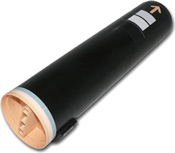 BLACK Toner - These Bottles each contain 1000 grams of black toner and will provide one full refill for your 6R1122. CYAN Toner - These Bottles each contain 600 grams of cyan toner and will provide one full refill for your 6R1123. 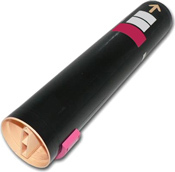 MAGENTA Toner - These Bottles each contain 600 grams of magenta toner and will provide one full refill for your 6R1124. 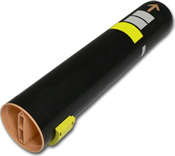 YELLOW Toner - These Bottles each contain 600 grams of yellow toner and will provide one full refill for your 6R1125.